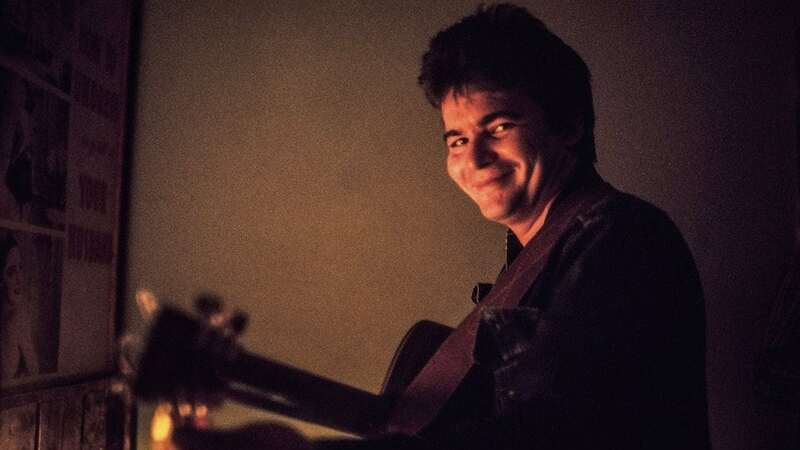 John Prine’s new album The Tree of Forgiveness is an unmitigated triumph — proof that the humor and heart that has always been evident in his songwriting hasn’t gone anywhere. Prine has settled gracefully into his role as elder statesman of singer-songwriters, but that’s no surprise since he seemed wise beyond his years when he first arrived on the scene as “The Singing Mailman.” Hearing him sound so vital on his first album of new, original material in thirteen years can’t help but send one back into his catalog, which is rich with songs that can wring every emotion out of you. Here are ten of the best that might have slipped under your radar. Prine’s self-titled debut album is stone cold perfect, and many of the songs have become singer-songwriter standards of sorts. Because his breakthrough song (“Sam Stone”) possessed a topical bent, he was labeled a “folkie.” But listening to “Far From Me,” he sounds much more like one of the first purveyors of what’s come to be known as “alt-country.” The song depicts heartbreak without succumbing to tear-in-your-beer clichés, relying instead on devastating details and unique turns of phrase to make its impact. Prine’s sophomore album Diamonds in the Rough continued along the same vein as his debut, and some of those songs (“Souvenirs,” “The Great Compromise,” “The Late John Garfield Blues”) have entered the canon, so to speak. This mournful, mostly forgotten number stands as tall as any of them. Prine’s empathetic bent, especially on behalf of those people often shunned by society, is one of the finest facets of his artistry, and it shines here in a portrait of a downtrodden vagrant. Prine has always inherently understood that the best love songs are the ones earned through hard experience or past heartbreaks. That’s true of this lovely meditation on the things that are truly important. Success, friends and time all fall out of focus when the narrator sits for a conversation with the woman he loves. It’s a typically great Prine melody, affecting without being showy, and not a word is wasted or out of place. Great for a slow dance. The title track of a 1978 album, this song was based on a tragedy that Prine witnessed as a youth. But, in typical Prine fashion, it doesn’t simply dwell on this event. It rather tries to mine something useful out of it, which, in the case of the narrator, is his realization that life moves on whether you’re wallowing in sorrow or not. If you haven’t heard it, check out Bon Iver’s cover version of this, which takes the song in an almost spectral direction. Prine’s 1984 album Aimless Love is a fan favorite, perhaps because of how he leaned into the country influence that has always been strong with his music. This is one of his loveliest melodies, accentuated by fine organ and piano work, and, in his own craggy way, also delivers some of his most soulful singing. His disgust for meanness and the way that people derail their own trains is the main topic here. As usual, he elucidates it winningly. The album German Afternoons is one of the most unheralded in Prine’s career, but this song has had a shelf life beyond its relatively-unheard original version. Thank a cover by Kim Carnes and a duet that Prine recorded with Nanci Griffiths for the extended renown. But the original works just fine as it is, as Prine reflects at the self-destructive tendencies within us all that drive us mindlessly to the brink of relationship disaster. Howie Epstein, who played bass in Tom Petty’s Heartbreakers until his death in 2003, produced both of Prine’s original studio albums in the ‘90s and added a lot of that band’s touches to 1995’s Lost Dogs and Mixed Blessings. The results occasionally drowned out Prine’s soft-spoken charm. “This Love Is Real” is kept mostly unadorned, however, save for an atmospheric drone and the lovely interplay between Prine and his duet partner Marianne Faithfull, who provides the perfect counterpoint. Prine’s long-awaited return to original material, 2005’s Fair & Square was an excellent set of his musings on everything from romance to politics. But this track captured live is the show-stopper. Songwriters who try to be funny usually trip over themselves. Prine comes about it naturally, and even his stage patter on this track will make you chuckle. Of course, if your marriage is in a rut, this one might be so funny that it hurts. Thanks. Not getting Spotify though. Heard them all. Maybe because I own all but a couple of his albums. So, I don’t consider these rare gems.Some really good tunes, here. A few others that come to mind : How Lucky and He Was in Heaven Before He Died. Thanks for this! Tasty playlist. How come there is never a song from his Common Sense album? Good list hit on 4 or 5 of my favorites.